Midsummer is the time when we celebrate the bounty of the earth and the power of the sun. Our fields are flourishing, fruits are blossoming on the trees, herb bushes are fragrant and full of life. The sun is at its highest point in the sky, and it has bathed the earth in its warmth, heating up the soil so that when autumn rolls around, we'll have a rich and bountiful harvest. These prayers celebrate the different aspects of midsummer. Feel free to modify them to suit the needs of your tradition. Litha is the season of the summer solstice, so prayers can focus on the power of the sun as it rises in the sky. Prayers honoring the blooming gardens and celebrating solar deities are always appropriate at midsummer. Because of its proximity to the Fourth of July, some people use this time of year to offer prayers for freedom, independence, and unity. If you're planting a garden this year, you may already have plants in the ground by the time Litha rolls around. Don't worry, you can still offer up this prayer to help them flourish! Go out to your garden on a sunny day, stand barefoot in the soil, and feel the magical energy of the earth. If you're a container gardener, that's okay, place your hands around each pot as you say this prayer to bless your flowers, fruit, and vegetables! The beach is a magical place, indeed. If you're lucky enough to visit one this summer, remember that it’s a spot where all four of the elements converge: the water of the ocean crashes upon the shore. The sand is warm and dry beneath your feet. The wind blows in off the coast, and the fire of the sun blazes down upon you. It’s sort of a combo platter of all sorts of magical goodness, right there waiting for you. Why not take advantage of it? Try to find a secluded spot where you can be alone for a few moments, and offer up this prayer to the waves. so that I may return to land once more. as do my own cycles. and honor you under the sun's fiery gaze. 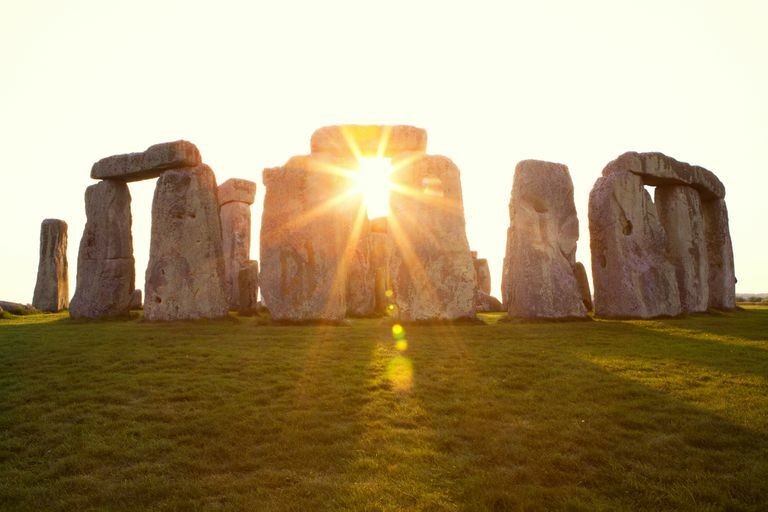 Litha is the season of the summer solstice, and the longest day of the year. This means that the very next day, the nights will begin getting longer incrementally as we move towards Yule, the winter solstice. Many ancient cultures honored the sun as significant, and the concept of sun worship is one nearly as old as mankind itself. In societies that were primarily agricultural, and depended on the sun for life and sustenance, it is no surprise that the sun became deified. Celebrate the sun while there's time, and let its warm energy and powerful rays envelope you. The 4th of July falls just a couple of weeks after Litha, the summer solstice, and it isn't just about barbecue and picnics and fireworks, although those are all a lot of fun too. Before you go off to watch a parade, eat a ton of food, and bask in the sun all day, offer up this simple prayer as a call to unity and hope for people from all nations. watch over those who would fight for our freedoms. no matter what their faith. and bring people together, in unity.